Hi lovelies! Skin dullness, uneven skin tone with enlarged pores has to be most of the lady's skin concerns. 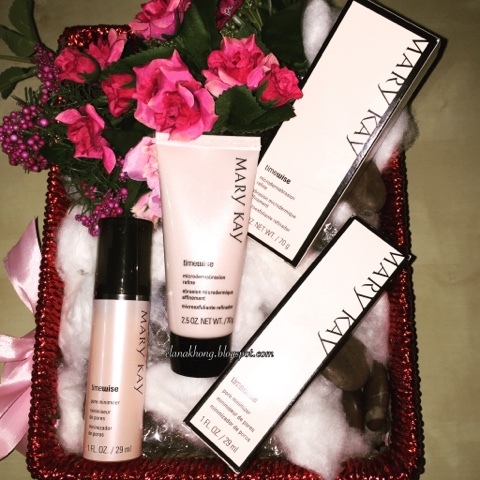 In the quest for flawless skin, I am introduced to TimeWise® Microdermabrasion Plus Set by Mary Kay. With the combination of Mary Kay® all time favourite TimeWise® Microdermabrasion Refine and the brand-new TimeWise® Pore Minimizer Serum it claims to achieve flawless-looking skin with refined pores. So how does this home microdermabrasion fare? The products are designed to work together to help maximize the anti-aging benefits. Feeds and nourishes the skin from below through increased microcirculation. Helps to brings oxygen to the surface of the skin to stimulate circulation, for a healthy, more radiant-looking glow. 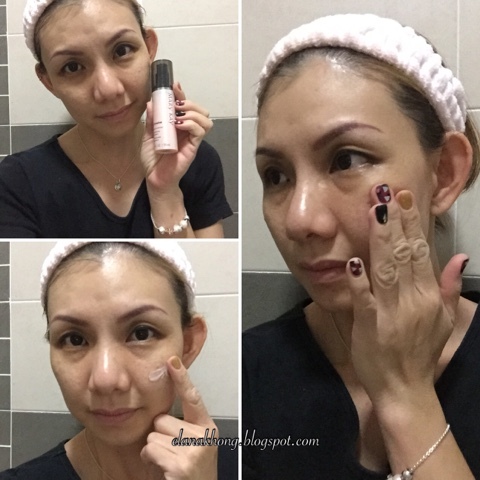 Reduces the appearance of pores by effectively removing the dead skin cells that naturally form inside and around the outer edge of every pore. Use 2 to 3 times a week. After cleansing, apply a small amount to wet face with fingertips. Rinse throughly with warm water and pat dry. 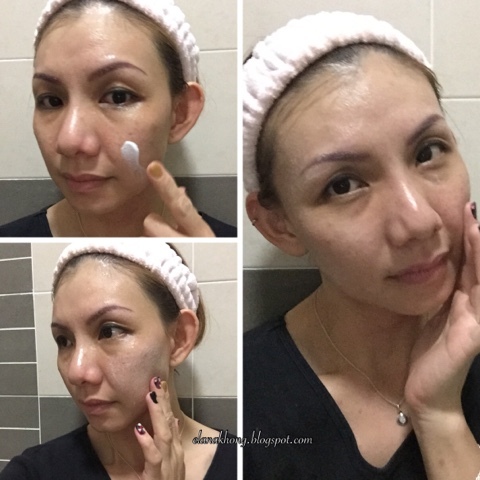 Apply Pore Minimizer thereafter, to minimize the appearance of pores immediately. With Alumina (Aluminum Oxide) a gentle exfoliant that helps to remove dead skin cells, this is the same ingredient used in professionally administered microdermabrasion treatments. Fine grains texture exfoliator leave my skin feeling super soft & smooth. Simply adores that it's easily rinse off too. Thoroughly remove impurities from pores as I don't experience any breakouts despite the heavy makeup for the past few weeks. Feeds and nourishes the skin with an exclusive Mary Kay® triple-tea complex. Aids the rejuvenation process and protects against environmental pollutants. Soothes the skin and helps to bring it back in balance. Prepares the skin for the next step in skin care. Apply twice a day, morning and evening prior to moisturiser. 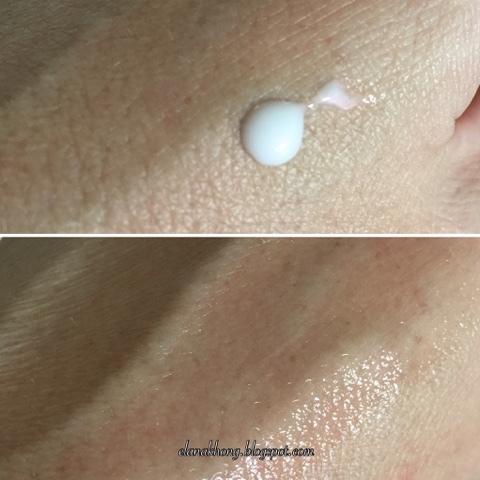 Smooth 2 - 3 pumps of serum evenly using upward and outward motion to clean skin. 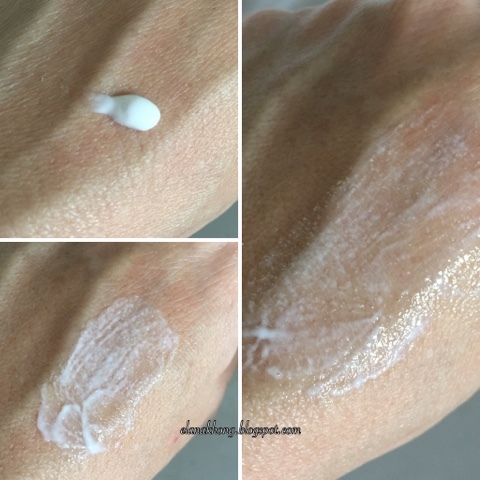 Follow with your regular moisturiser. Lightweight texture easy to apply and absorb quickly into the skin for a visibly smooth, satin-like finish. 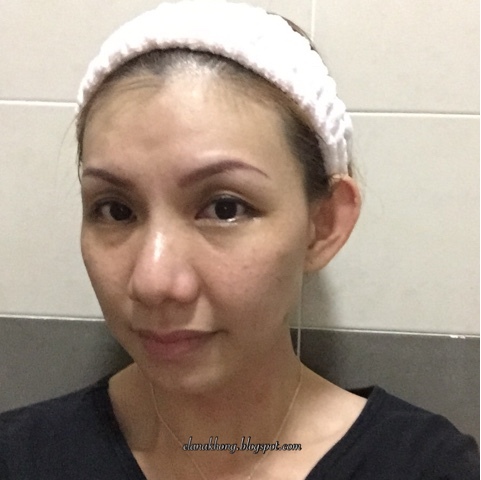 After 3 weeks constant usage of TimeWise® Microdermabrasion Plus Set, I noticed my pores are more refined and less skin redness too. Besides that, make up blends in easily and last longer too. I can really see the vast improvement on your skin. This product really works and seems worthy of the investment. hmm.. i can spot the difference! seems like a great product! look worth to try. Heard a lot about this brand but never try one. yup i'm trying this out too and seems to work well on me. You always got flawless skin... Beautiful all the time.. yet, It still sounds like a great product..
Oh yeah... I have to agree... less breakouts as skin feels more cleaner... I love these duo too!!! Wow. Love the results on your skin. Worth buying. Mary Kay also asked me to try before... They give the demo to me too. But, we don't buy and feel it expensive... ;) But, it is good care for your beauty face if you interested in. Always heard how good the product is, but never really try. Looks like its time to try it too! It's looks good on your skin! But I never try out their product yet. Impressive product. U really look much better after the usage. Your pores are looking very much better than before and skin is more brighter and cleaner. Milkcow Malaysia Introducing Milky MINI!